Search engine optimisation (SEO) based in Thanet, Kent. 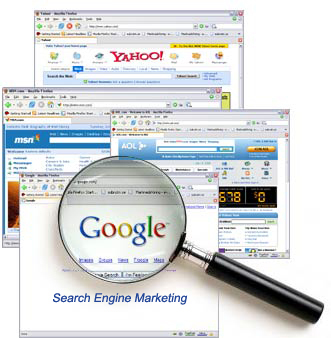 Search engine optimisation (SEO) is one of our specialities. Type "the suspects" into Google TM and see what site is number 1 out of 6,250,000? Type "the suspects" into alltheweb TMand see what sight is number 2 out of 141,000,000? The Suspects a band based in Thanet in kent, and who built the site? ooohhh ltd. Type "mark cornwell" into Google TMand see what site is number 1 out of 1,290,000? Type "mark cornwell" into MSN TMand see what site is number 1 out of 1,140,000? Mark Cornwell is a photographer based in Thanet in Kent, and who built the site? ooohhh ltd. Type "high value household insurance" into Yahoo TM What site is at number 10 out of 24,500,000. Stackhouse Poland is an Insurance company based in Guildford in Surrey, and who did the SEO? ooohhh ltd. Type "deer stalking" into Google TM and see what site is number 3 out of 320,000? Type "deer stalking" into allthewebTM and see what site is number 3 out of 2,030,000? The Stalking Directory is the UK's only directory for all interested in Deer stalking, and who did the SEO? ooohhh ltd.